Tile refinishing will help you save money while still giving your tiles a fresh new look without going through the long and expensive process of replacing them. Tiles are exposed to everything from scuff marks from shoes, large furniture, acidic soda spills, and the elements. So they can deteriorate quite quickly as time goes on, which makes it even more important to have tile refinishing on schedule. They can save you a lot of money in the long run if you’re considering getting them replaced while leaving your homes floors and bathroom walls looking just as beautiful as the day that they have been placed. Our tile refinishing process is customer satisfaction guaranteed, and state of the art. We have a great rating with the Better Business Bureau and won a Super Service Award on Angie’s List due to our continued excellent service and insurmountable dedication to our customer’s satisfaction. Join the large list of our satisfied customers today and let us help you create a new look for your home. Ceramic tile refinishing is the only practical way to reproduce the look of original tile. This can be used on most tile surfaces, especially on those with the glossy finish. Ceramic tile in a shower or surrounding a bathtub that will be subject to moisture can definitely be refinished. They take on a lot of the force of the elements and are very susceptible to wear and erosion. Ceramic tile on kitchen countertops and bathroom vanities are also excellent candidates for refinishing. As they are exposed to oils from our hands and acids from sodas and makeup removers. Tile Refinishing Miami is the leader in tile and bathtub restoration. We started out the in repair supply business almost 20 years ago and been providing top notch work ever since, both on the residential and commercial scale. We restore tubs and tiles to their old glory and sometimes we go even further, providing them a kind of quality they never actually showed before. Depending on the damage, we can finish the working process in 3 to 4 hour. Our methods are much cheaper than a full replacement with the end result representing the appearance of brand new tiles. The reasons while Tile Refinishing Miami would recommend the refinishing process instead of the replacement because this will very likely be much cheaper for you. There is a level of damage that doesn’t make refinishing possible, but it is highly unlikely that your tiles could reach that level. The work almost always takes place on-site, especially if we are talking about tile reglazing. Choosing to refinish the tiles instead of flat out replacing them is a popular choice but not just because it is more cost effective. 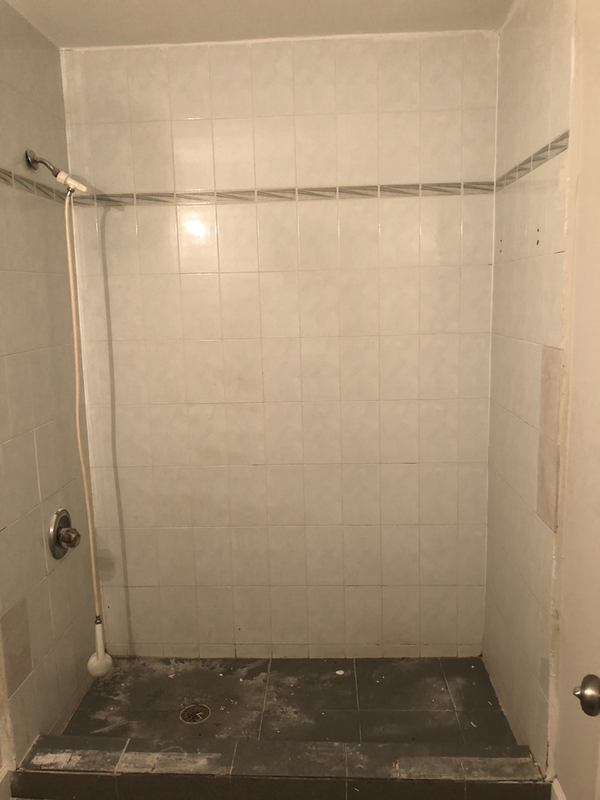 This is of course totally dependent on the amount of damage those tiles have suffered, but if we are talking about an old color that doesn’t show its previous tones anymore or some much needed grout repairs, replacement really doesn’t make too much sense. In the vast majority of the time you will end up paying a lot more. Removing the old tiles, buying the new ones, installing them, this is likely a multi-day job that will take a considerable amount of manpower that you will also have to pay for. In contrast to that, the refinishing will take place on-site, using state of the art methods that will make the tiles look like they were brand new ones. Recoating an entire ceramic tile wall is absolutely possible. Not only it is possible, it can be done in more than one way. Leaving the boarders or making them disappear, changing the color of the tiles, or changing some of their colors, the number solutions are basically endless and you will only have to worry about coming up with the color pattern and style. Preparation is extremely important, as it will allow us to provide you with high quality coatings. Even if you had the unfortunate experience of having to deal with a bad recoating job, we can make you forget that in hours. We will strip down the previous coating and prepare the wall as it should have been prepared for the first time. This is what will ultimately allow us to be at our creative best while providing you a quality that will blow away any cheap fly-by-nighter’s sorry excuse for a job. Tile refinishing is an expertise that warrants a certain kind of attention to detail, a quality that we certainly possess.